The Cannon County Jr. 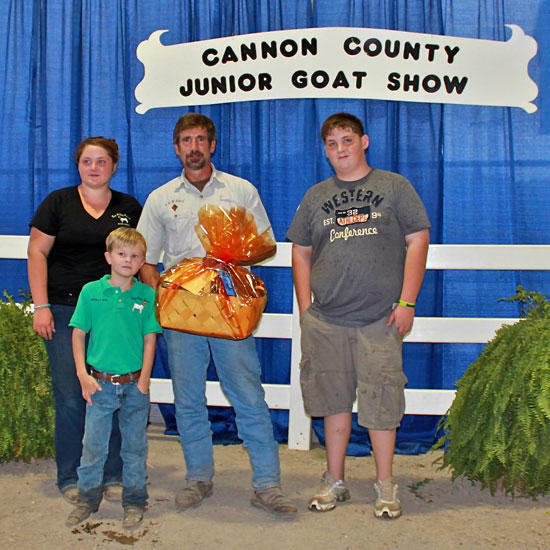 Goat Show was held on Saturday, July 14, 2012. This year was the biggest show to date, with 185 entries. There were 13 counties represented at the show, which was judged by Mr. Mark Anderson from Lebanon. Cortney Melton, John Buryl Neely, and Zachary Melton presented Mr. Anderson with a gift basket of Cannon County produced goodies after the show.